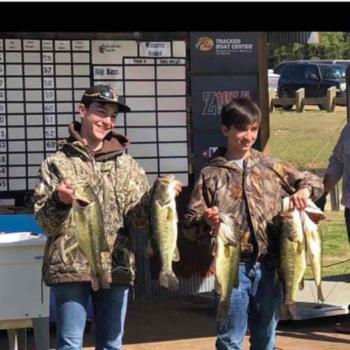 Congratulations to Colby and Maddox Williams for winning the NE Louisiana High School Fishing Tournament on Caney Lake. They weighed in 22.02 pounds! Great job, guys!